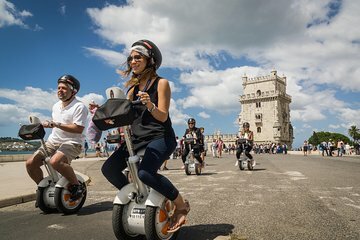 Take a unique tour around the historic district of Belem on this 90-minute Sitgo tour. See the area’s key landmarks such as the Jeronimos Monastery, the Belem Tower, the Monument to the discoveries, and more as you cruise along the riverside on your Sitway vehicle. Listen to informative commentary from your guide and enjoy a different way of seeing the city.